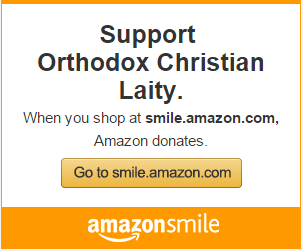 The subject is the autocephaly of the Ukrainian Orthodox Church and that of Macedonia. But uncertainties remain that the meeting will take place after contradictory signals from the Moscow Patriarchate. 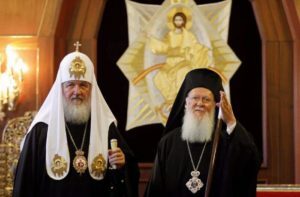 Moscow (AsiaNews) – The Orthodox world is waiting with bated breath for confirmation of the announced visit of the Patriarch of Moscow Kirill (Gundjaev) to the Ecumenical Patriarch of Constantinople Bartholomew (Archontonis), scheduled for August 31 in Istanbul. The meeting should clarify the question of the autocephaly of the Ukrainian Orthodox Church, which will be officially discussed at the Synod of the Church of Constantinople in early October. However, contradictory signals are clouding the skies above environments close to the patriarchate of Moscow and therefore there are still uncertainties about the effective realization of this meeting. Istanbul also fears a last minute cancellation by the Russian delegation, as was the case at the 2016 Pan-Orthodox Synod of Crete. Kirill’s visit would be part of an intense synod program at the Phanar, Bartholomew’s headquarters in the Turkish metropolis: on August 30th the Synod will meet in extraordinary session, and on September 1st the plenary assembly (Megale Sinaxis) will take place, to examine the requests of autocephaly of Macedonia and Ukraine, but also to evaluate the positions of the Russians. In one of the previous meetings in Montenegro in 2013, Bartholomew and Kirill agreed on the rules of inter-Orthodox collaboration and mutual relations between Moscow and the Phanar, but the unexpected refusal to participate in the Council of Crete then brought the relationship back to a state of continuous tension. In Crete, 10 Orthodox Churches out of 14 participated, and the absence of the Russians avoided the possibility of mentioning the question of Ukrainian autonomy, a question already in the air long before the Maidan revolts in Kiev the following year. 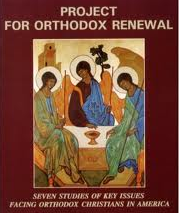 The tension has become even more acute in recent months, due to the clumsy attempts of some Moscow emissaries, in the diplomatic and business world, to instigate the Church of Greece against the ecumenical patriarchate, relying also on the great influence of the Russians on the monasteries of the Mount Athos. The maneuvers did not produce the desired result, indeed they provoked the irritation of Athens against Moscow, despite the historical problems of the Greeks with the patriarchal headquarters in Turkey. Further tensions were felt last month, when Patriarch Kirill expressed his disappointment at not being able to participate in the celebrations in Kiev for the 1030th anniversary of the Baptism of Rus’. In that case it was Bartholomew who cancelled at the last minute, sending the metropolitan of Gallia, Emanuele (Adamakis), exarch of Constantinople in France in his place. He intervened at the solemnities of Kiev stating that the ecumenical patriarchate “will not leave his Ukrainian sons and daughters defenseless and at the mercy of destiny. The ecumenical patriarch cannot remain blind and silent in the face of the heartfelt demands that have been addressed to him for over a quarter of a century,” a nod to the condition of Ukraine since the end of Soviet dependency. The metropolitan has thus almost explicitly announced his leaning toward the Tomos of autocephaly: “The faithful of the Ukrainian Church and its leaders have the right to their place among the Orthodox Churches”. The Orthodox panorama would therefore not be favorable to Moscow, and the fears of a failure could therefore push Kirill to renounce the meeting. Its realization would instead be a remarkable fete, should they be able find a formula to satisfy all the parties. The Tomos could be granted to Macedonia, which has been waiting for it since the end of Yugoslavia with problems similar to Ukraine regarding the Serb and Greek neighbors, providing a possible model for the definitive solution of the ecclesiastical crisis in Ukraine. Next Article Musings of the OCL Executive Director: A New Ecclesiastical Year – So What?